Five days have passed since Conor McGregor nabbed the biggest cash grab of his combat sports career. Now that the dust has settled on Saturday’s TKO defeat to Floyd Mayweather, McGregor took to his verified Instagram account to address the loss. While McGregor is as honest as it gets in assessing his performances, the UFC lightweight champion still believes the only reason he wasn’t able to hand Mayweather his first professional blemish in 50 outings was because of his conditioning issues. McGregor admitted during the post-fight press conference that his questionable conditioning is something that has haunted him in the past, most recently against Nate Diaz in their epic rematch. Although McGregor ended up digging deep to avenge his loss to Diaz, he can’t solve the conditioning puzzle when it comes to the middle minutes. The boisterous Irishman wasn’t as fortunate against Mayweather, as he played right into Mayweather’s brittle hands. It was clear after the third period that Mayweather’s game plan was to tire McGregor out while hunting for a knockout. It was the most aggressive the best defensive boxer has been in God knows how long, at least since posting his last KO in 2011. Did McGregor do better against Mayweather than everyone expected? Absolutely. Did McGregor land more punches on Maywather than Manny Pacquiao did? Certainly. Were the six people who each bet at least $1 million on Mayweather crapping their pants after the third round? Probably. Was Mayweather ever in any danger of losing to the MMA star in his boxing debut? Never. 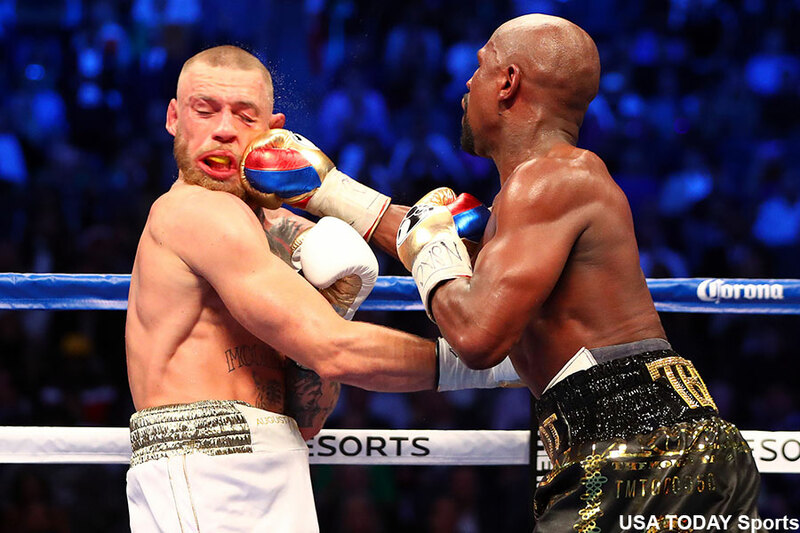 At no point was Mayweather fearful of being put to sleep by McGregor’s trademark left bomb. “Money” was afforded the luxury of fighting with reckless abandon because he knew McGregor didn’t offer anything he couldn’t handle. That’s why Mayweather was more than happy to eat more punches than usual so he could cap off his illustrious boxing career with an exclamation point KO. And that’s exactly what happened en route to 50-0. Keep in mind, even if McGregor manged to survive the 10th round onslaught, he was down significantly on all three scorecards. Two judges only gave him the first round. The third judge handed him the opening three periods, but awarded Mayweather a dominant 10-8 mark for his work in the 9th. That’s impossible ground to make up in just two rounds, especially since all three judges would have likely given Mayweather a 10-8 mark in the 10th. The only chance McGregor had was the one he rode in on – a puncher’s chance. However, it’s hard to land the perfect haymaker with no gas in the tank. Sorry, Conor. While you have absolutely nothing to be ashamed of, conditioning was just a small piece of the problem against Mayweather, not the only.